Dark Tales of Lost Civilizations begins with an introduction by the book’s editor, Eric J. Guignard. The introduction is very well written. It asks poignant questions, and reads like a cross between a Rod Serling narrative and an article from the National Geographic magazine. In fact, Guignard continues introductions by placing one in front of each story to give it a brief synopsis. This is surprisingly effective and increases the interest by the reader. This book is not horror. Instead, I would try to type it into a mix of the sci-fi and fantasy genre, along with a large helping of history. The premise of Dark Tales of Lost Civilizations is to showcase different tales of adventure and yes, lost civilizations, some ancient, some more recent and some futuristic. The stories can be compared to those of Sir Arthur Conan Doyle’s The Lost World and H. Rider Haggard’s King Solomon’s Mines. Because this is an anthology of twenty-five stories, I don’t have room to critique them all. Therefore I will discuss my favorites in the order that they appeared in the book. “Quivira” by Jackson Kuhl is a colorful and lively story that includes Sioux Native American folklore told with humor. 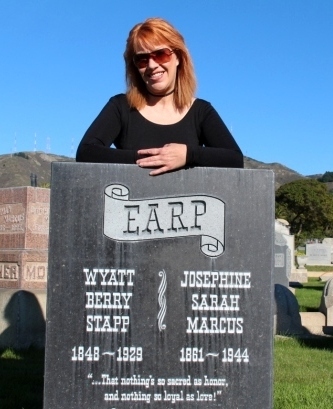 Lyddy was in New Mexico on a quest for gold when “a man who resembles his twin” shows up dead. An entertaining story. “Quetzalcoatl’s Conquistador” by Jamie Lackey is a realistic retelling of an actual historic event that originally took place in the 1500s. Spanish Conquistador Herman Cortez led an expedition that caused the fall of the Aztec Empire, and this story twists the truth…but only by a little. This is a well-researched yarn that is realistic and exciting. “Gestures of Faith” by Fadzlishah Johanabas stands out for its beautifully descriptive prose. Johanabas, a neurosurgeon in Malaysa, manages to court us with flowery fiction that includes Isis, Mount Olypus, and an Oracle that talks to Poseidon. This story would appeal to fans of Middle Earth. “Bare Bones” by Curtis James McConnell is one of my favorites in this book. Fast paced and humorous, this one is in-your-face with action. A two-million-year-old skull is found, or is it? Why does carbon dating say it is old, but its features say it is modern? Is it de-evolution or time travel? My only regret with McConnell’s story is that I didn’t grab it first for The Horror Zine. “The Nightmare Orchestra” by Chelsea Armstrong is told from a child’s point of view. Skye doesn’t understand why his father forbids him to play with “the dreamers.” This story contains good character development and is a strange but compelling tale. “Buried Treasure” by Rob Rosen is another personal favorite. What modern wonders of today will be archaic in the future? A 500-year-old map is the ticket to adventure. On a planet gone dry, water is worshipped as a god. But this water is man-made in a very surprising twist. I was pleasantly surprised to see a story written by Joe R. Lansdale included in this book, who is one of my all-time favorite writers. And “The Tall Grass” lives up to Lansdale’s high standards of quality. I thoroughly enjoyed the character’s trip in 1901 on a train that always seems to break down in the middle of the night at a prairie of tall grass. The excitement begins when a passenger decides to explore the grass, and encounters frightening creatures within. “The Tall Grass” is probably the one story in the book that could be classified as horror. A real gem. Of course all anthologies have their share of clunkers, and this one certainly does. Some of the fiction in Dark Tales of Lost Civilizations delves into so many explanations that the stories are bogged down under the weight of details. Others go off on unnecessary tangents, making me think, “Huh? What is this story about?” And there were one or two that were so slow in pace that my eyes glazed over and I could barely keep them open. I was disappointed that Eric J. Guignard, an accomplished writer in his own right, did not include one of his own works. But overall, this is an anthology worth your time. Which stories would be your favorites depends upon what timeperiod in history fascinates you the most. Dark Tales of Lost Civilizations seems to cover a lot of interesting ground, from ancient Mount Olympus to modern day. I liked this book and believe you will too. And the price is right: 270 pages for only $14.95 paperback, $3.99 Kindle. 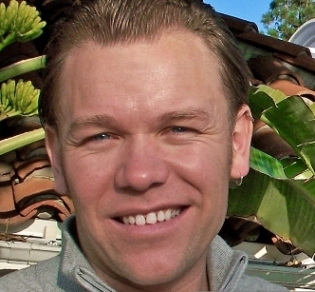 Eric J. Guignard is an award-winning author and editor living in southern California. He writes fiction short stories in the genres of horror, speculative, and young adult. He also writes research and knowledge-base articles in genealogy, woodworking, and ecology. Eric has been published in numerous print and online media, recently including publications in: A Very Short Story competition (first place), Coscom Entertainment, Hall Brothers, SNM Horror Magazine, Another Realm, Indie Gypsy, and many others. 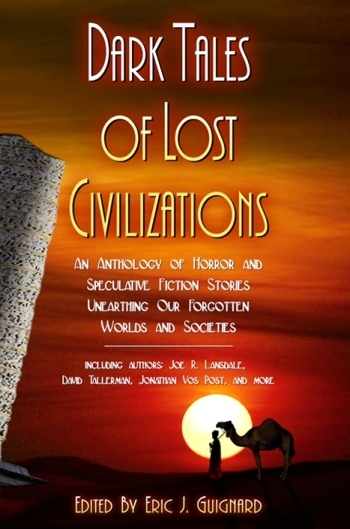 He is editor of the acclaimed anthology, Dark Tales of Lost Civilizations (Dark Moon Books). When not writing, Eric designs and builds custom furniture and is also an amateur entomologist. Most importantly, he is married to his high school sweetheart, Jeannette, and father to an adventuresome toddler son, Julian James.